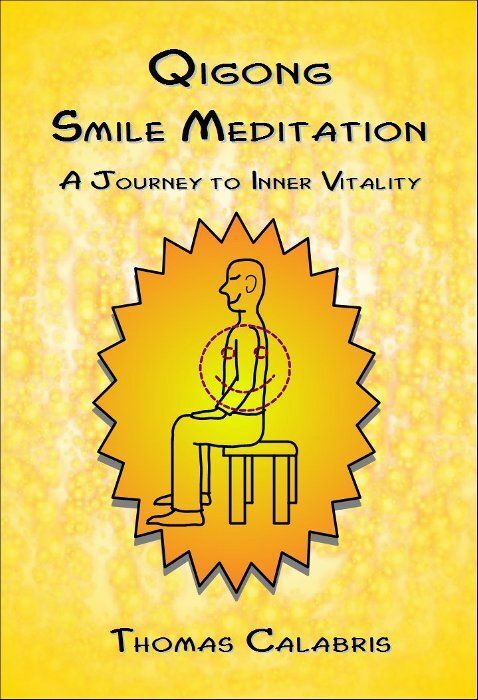 The Smile Meditation takes you on an amazing journey through your body, bringing the energy of your smile to your body. This course will teach you Qigong fundamentals, such as, Qi (energy), relaxation, and much more. No prior Qigong experience is needed. The Smile Meditation takes you on an amazing journey through your body, bringing the energy of your smile to your body. Smiling actually changes your body's physiology and biochemistry.You will learn how to smile inwardly, energizing your entire body. This Qigong Smile Meditation Home Study Kit will teach you Qigong fundamentals, such as, Qi (life energy), relaxation, and much more. No prior Qigong experience is needed. This kit includes an easy to read step-by-step instruction manual and guided meditation audio program. A digital download link will be available immediately after your purchase. Also included is two months of email correspondences and a one hour phone consultation with the instructor. Inner Vitality Qigong is dedicated to providing useful information about Qigong and other natural health solutions for living a healthy and abundant life. We provide in-person and home study courses in Qigong exercises and meditations. We also provide Qigong Wellness coaching. Qigong is a combination of meditations and exercises that can improve your health and increase your longevity. Check us out at www.InnerVitalityQigong.com or send email to admin@InnerVitalityQigong.com for any questions about our products or services.